Looking for the best travel size hair products? 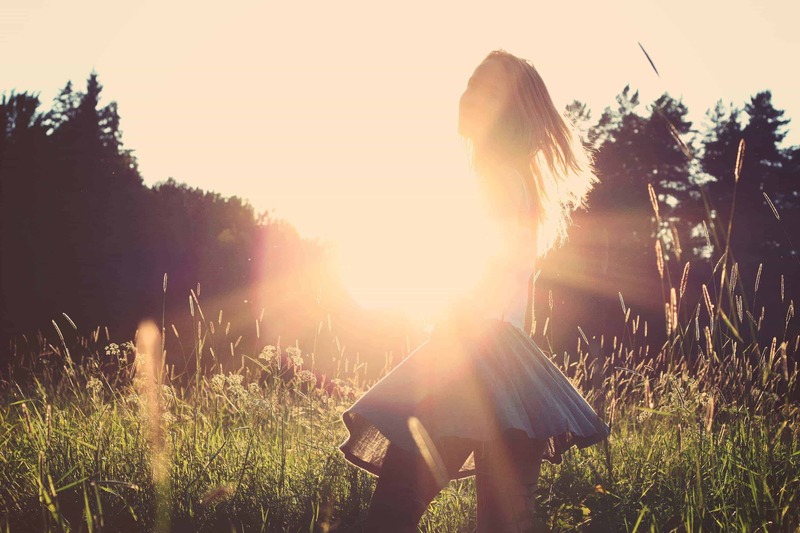 I’ve got the perfect roundup for you! 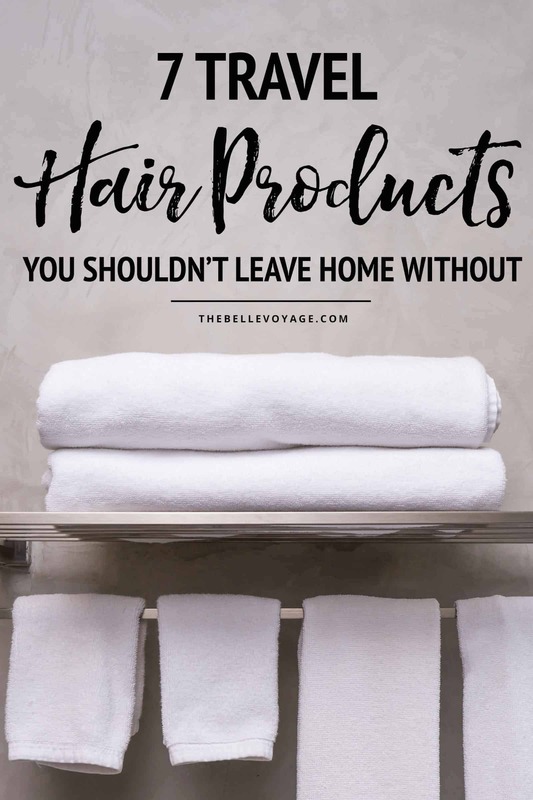 Whether you’re looking for travel size shampoo and conditioner, travel size hairspray, or travel size dry shampoo, I’ve included all of my favorite travel size hair product picks so that you can have a perfect hair day everyday of your trip. Oh, hair. It’s one of those things that you NEVER want to worry about while you travel, yet you always want it to look good. File under “Travel Problems”. Fortunately, there are a slew of travel size hair products out there that were made to keep your mane in check while you’re busy jet-setting. After many years and many, many frequent flyer miles, I’ve landed on the very best travel size hair products to bring with you on every trip. And if you’re a hair style junkie like me, you’ll love reading about my experience getting a blowout in Paris. Here’s a roundup of my favorite travel size hair products, just in time for summer travel! And if you’re looking for more inspiration for summer travel beauty products, check out this post. Let’s start with the basics, shall we? It can be relatively easy to find your standard, run-of-the-mill travel size shampoo and conditioner. But what about the shampoo and conditioner hair brands that you like to use on a daily basis? There’s a few higher-end brands of hair products that have fabulous travel size shampoo and conditioner options. My favorite picks are travel-size Moroccan Oil shampoo and conditioner, as well as Oribe’s travel size shampoo and conditioner. Remember: look beyond your regular drugstore for travel size shampoo and conditioner options! There’s usually only a few brands of hair products at drugstores, but there are definitely more to be found! Here’s my favorite places to shop for travel size beauty products. All of these spots will have WAY more options than you’d normally find at the drugstore. And if your favorite brand doesn’t make shampoo and conditioner in travel-size containers, you can always create your own by decanting large bottles into travel-size containers. These are by far my favorites because they’re less than $10 and they don’t leak. Ever. Soooo – who wants to spend time blow drying their hair while traveling? Not this girl. In fact, I do pretty much everything I can to avoid hotel hair dryers. But I’m not about to just let my hair fend for itself, either. For that reason, I have searched far and wide for something I could just rake through my wet strands and then have everything just…..figure itself out. But look good. FINALLY Bumble & Bumble presumably heard my wish from afar. Check out this new product that they came up with, called the Don’t Blow It (H)air Styler. It’s by far my favorite travel size styling creme. If you’re looking for more of a travel size mousse instead of a styling creme, check out this stuff. It’s also fabulous for curly hair if you want to be able to just wash and go. Whenever I’m traveling for a special occasion, I always bring travel size hairspray in my carry on bag. The key to travel size hairspray is to find one that’s an aerosol version, not one that pumps out liquid one spray at a time. Aerosol hairsprays will leave you with a much more natural finish, but still hold your ‘do. For that reason, the key is finding a travel-size version. Here is one option, and another is my favorite hairspray, which happens to be about $5 and is amazing. If travel size mousse or styling creme won’t cut it, or if you’re looking for something for a male travel companion, you might be on the hunt for travel size hair gel. Read on for all of my favorite picks. There’s a few good options for travel hair gel. If you’re going on a short trip, I absolutely adore these travel hair gel pods because you bring only as many as you need! And they’re less than $7. Genius. I’m always on the lookout to save space in my toiletries bag (so that I can bring MORE STUFF), so these are lifesavers. Another alternative is to grab these travel size containers, and just decant your existing product into them. I love the ones I’ve linked to here because they never leak, and they’re a bargain at less than $13. I think we all know that dry shampoo is a lifesaver, providing an extra 15 minutes’ of sleep for women everywhere on a daily basis. Nothing new there. In terms of travel, though, dry shampoo totally goes the extra mile in (once again) avoiding hotel hair dryers. The key is to find a dry shampoo that is TRAVEL SIZE. 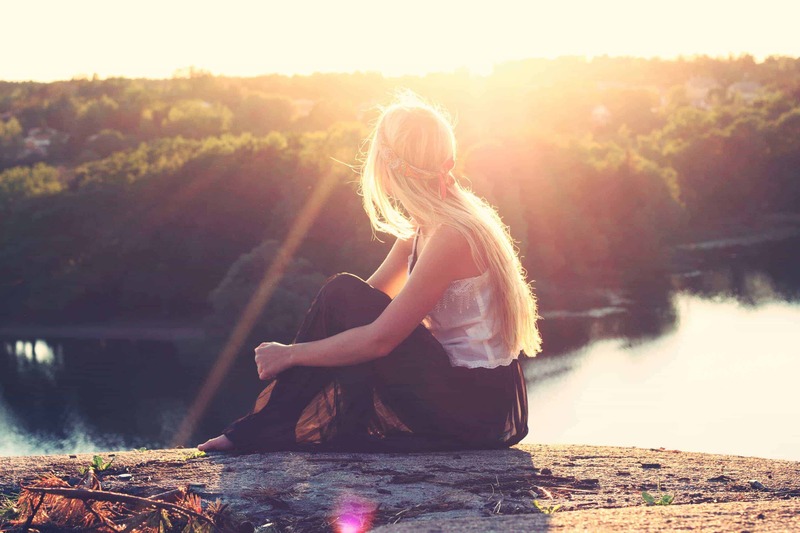 Finding a great travel dry shampoo shouldn’t be hard, but it is, since most of them are aerosol – and aerosol hair products are notoriously hard to find in travel size. So whenever I find one that I like, I celebrate it. Fortunately, Drybar’s Detox Dry Shampoo comes in travel size, and so does Klorane’s. Both of them work wonders! By far my favorite is Amika’s travel size dry shampoo. I love the scent, and it does no less than perform minor miracles when it comes to greasy strands. Another option is to check out a powder-style dry shampoo. Bumble & Bumble makes a great one, which comes in travel size ALSO. Plus the bottle is adorably rose gold, so that just makes me want to keep it around, anyways. An added bonus of this travel size dry shampoo is that it won’t even take up space in your liquids bag, leaving more room for the rest of your favorite travel size beauty products. Every once in a while, I will stay in a hotel that includes a shower cap in their bathroom amenities. And I think to myself: YESSSS! You understand!!! I will stay here again! Since shower caps are so helpful in prolonging the life of a blowout, they are definitely a travel hair essential. Since not every hotel out there has gotten the memo on including a shower cap in their bathroom amenities, you should plan on bringing your own. The good news is that a shower cap is lightweight and will take up hardly any space in your bag. My favorite one is the Drybar shower cap. I like it because it’s lined with terrycloth on the inside, which helps prevent frizz from the humidity of the shower. If I could pack only one hair appliance when I travel, it would be a flat iron. Flat irons bring the HEAT….and can pretty much transform any sort of hair problem into something that’s acceptable. Leave your curling iron at home! A 1″ flat iron is lightweight and can tuck perfectly into a carryon bag. Here’s the one that I have, and I absolutely love it, because it allows you to control the temperature that it heats up to. Pro tip: if you’re like me and you use your flat iron seconds before having to toss it in your suitcase and run out the door, there are heat-proof cases that will keep your iron from burning your clothes. If you’re really pressed for space in your suitcase, check out a travel size flat iron. These have improved a TON over the past few years, and there’s now a few models that actually heat up hot enough to replace a regular size iron. This travel flat iron is my favorite – Babyliss irons are really great quality. And if you’re looking for a bargain, this one is less than $15 – score! All of the products above are my favorites for traveling. Another one of my go-to travel hair product essentials that I recently discovered is a travel-size texturizing spray. Texturing spray is great for all of those times that airplane air makes your hair get flat. In fact, it’s one of the critical components of my post-red eye flight beauty routine. I’ve found a few travel-size versions: Drybar’s Triple Sec (which is ALSO a dry shampoo), as well as the Oribe one which is awesome. Aquage also makes a travel size thickening spray, which is another great option if your hair tends to get flat when you travel. If you’ve never used Aquage products before, you’re in for a treat. They’re amazing. There You Have it – All of the Best Travel Size Hair Products! 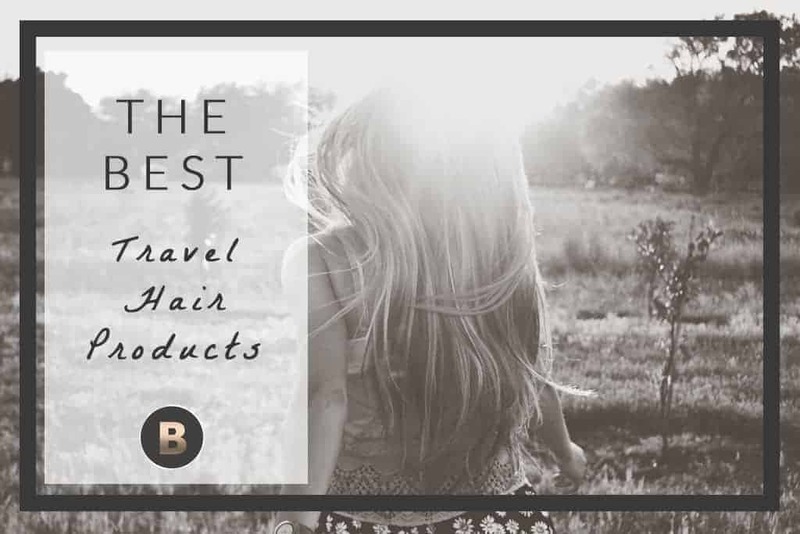 Now that you’ve got the lowdown on the best travel size hair products, all of your travel hair problems should be solved! Need more help with your travel toiletries? Check out my post on how to pack beauty products for travel, and take a peek at what’s inside my travel makeup bag.